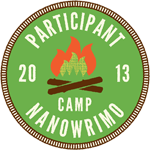 I’m blogging on PFHT today about Camp NaNoWriMo, goals, craziness and a cute badge. No, not the one here, but even cuter! Come on over and weigh in. 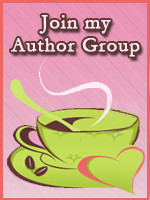 This entry was posted in Carol Burnside, Everyday blather, Going Places, Here at home and tagged badge, blogging, Camp NaNoWriMo, goals, NaNoWriMo, PFHT, Writing. Bookmark the permalink. Wow. Thanks for all the ‘likes’ you guys!